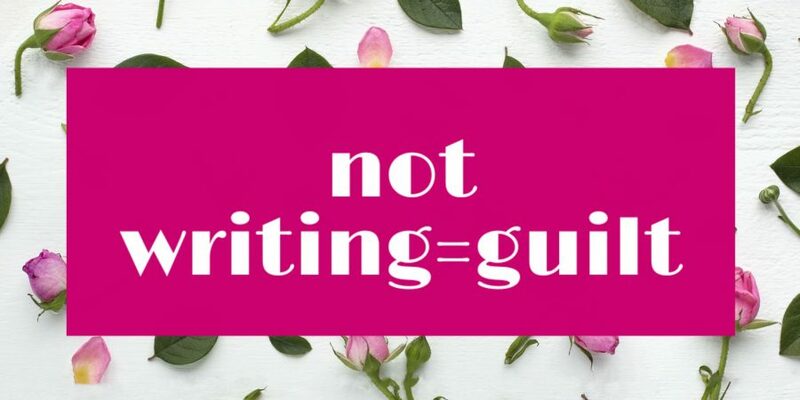 Should You Feel Guilty When Not Writing? - M.W. We’ve all been there, right? The days zoom by and before you know it, the only thing you’ve written in that time is a grocery list. And you didn’t even get to use metaphors, except for that one cheese. Inevitably, a sense of dread sets in. How could it not? We have goals and need to focus on them instead of getting sidetracked by silly things like buying food and taking care of our children. It’s so easy to get swept up by the tidal wave of guilt and wallow. However, that won’t get you anywhere. In fact, that usually turns the whole situation into a vicious cycle. Emphasis on vicious. Besides, do we really have anything to feel guilty about? Yes, of course. Otherwise we wouldn’t feel guilty. Writing MATTERS to us. That’s why we feel guilt. It is a perfectly natural response. However, is it productive to feel guilty? No. Where does it get us? A first-class ticket to Guiltville where nobody does anything but sit around and feel sorry for themselves. We’re human and there will be moments where we choose not to write. That can be down to several reasons, but if it’s not something you’re thrilled about…CHANGE IT. Just like with anything in life. This actually reminds me of one of my favourite TEDtalks about procrastination where Tim Urban concludes that we are all procrastinators with something. However, if it’s important enough, it is worth doing something about. If you know yourself and when you’re productive and when you aren’t, not just within a day, but within a month or year, use that knowledge. If December is a month with many birthdays and family/friends time, then lower your writing goal for that month. Either way, it’s a good idea to start with a low goal and slowly increase it as you keep reaching it. For me, it works to set aside two hours or so on Friday, Saturday and Sunday. I don’t bother writing any other days and that’s fine by me. That might change, but for now I’m happy with approximately two chapters a week. Sometimes it’s more, sometimes it’s less, but I allow myself that room. Writing should still be fun, remember that! If we want to do stuff that’s not fun we might as well spend our weekends hugging cacti. Sometimes we stop writing because we’ve written a ‘wrong’ scene or the story isn’t going where it’s supposed to go. It’s worth stepping back and contemplating why you aren’t writing before you force yourself to type words. There’s no point in keeping going when the story is going in the wrong direction. So not writing is sometimes actually a GOOD thing. To conclude, it’s your story, you know what’s best for it. Allow yourself to be human, don’t hug cacti, and make sure to have fun!